We’d love your help. Let us know what’s wrong with this preview of The Mind's Eye by Oliver Sacks. To ask other readers questions about The Mind's Eye, please sign up. Aida It is about extraordinary cases of patients with brain diseases, damages, etc, and their experience of life by undoubtedly great narrator Dr. Oliver…moreIt is about extraordinary cases of patients with brain diseases, damages, etc, and their experience of life by undoubtedly great narrator Dr. Oliver Sacks. Is this book about patient's experiences or about how the brain works? Sherry Hinman In a way, it's about both. In each chapter, Sacks talks about one or more patients (and sometimes it's about people who contact him after they read…moreIn a way, it's about both. In each chapter, Sacks talks about one or more patients (and sometimes it's about people who contact him after they read about his patients in previous books). He describes their experiences and explains them the best he can, by relating them to what we know about the brain. The theme of the book is disturbances related to vision. So a chapter might be about loss of depth of vision, blindness, loss of central vision, and so on. There is also a chapter on his own experience with a tumour on the back of his eye, including how a detailed description of how it changed how he saw the world and also how he coped with it emotionally. Dr. Oliver Sacks was a practicing neurologist and professor who wrote a number of popular books about people afflicted with neurological disorders and/or brain damage. In this book Sacks relates stories about patients who developed problems with their eyes or the 'vision' areas of the brain, including loss of the ability to read, inability to recognize everday objects, and impairment of stereoscopic and/or peripheral vision. Sacks also tells a very personal story about his own eye tumor. In normal life Lillian functioned, in part, by memorizing the location of objects around her. 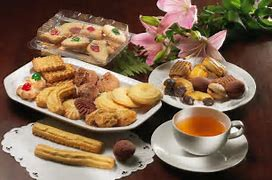 Sacks tells a story of having tea at Lillian's house and inadvertently moving a plate of biscuits, after which Lillian could no longer 'see' the biscuits - though they were still on the table. Lillian never recovered her lost abilities but was able to live a (more or less) normal life because of her musical gifts, excellent memory, and the help of her husband, friends, and doctors. Sacks also relates stories about other individuals who lost their ability to read and/or recognize objects - usually due to a stroke or brain injury - and how they coped (or didn't) with the problem. Some patients eventually recovered their capabilities, some didn't. In the most personal part of the book Sacks relates his own experience with an eye tumor, his radiation and laser treatments, and the eventual loss of almost all vision in his right eye. This resulted in a diminution of both stereoscopic and peripheral vision. Again, in his humorous self-deprecating style, Sacks relates incidents of missing stairs, bumping into and tripping over furniture and dogs, and not seeing things around him. He relates the discomfiture of having people or objects 'disappear' from his right side, then suddenly appear again. Sacks goes on to relate the stories of several people who either gained or lost stereoscopic vision. One woman who obtained stereoscopic vision after seeing everything in only two dimensions was mesmerized by seeing, for the first time, her steering wheel projecting from the dashboard and her rear-view mirror sticking out from the windshield. Overall, (for me) these sections are the weakest part of the book, being too long and repetitive. Along with the various stories in the book Sacks discusses parts of the brain that are specialized for specific 'visual' functions, how these brain areas interact, and how malfunction or damage in these areas affects people's vision, reading, object recognition, and so on. All in all, an interesting and informative book. I listened to this one as a talking book. There were many, many times when I nearly stopped listening to it. The problem was that Sacks himself didn’t read very much of the book – his eye troubles have made reading difficult for him. By far the best parts of this talking book were when he was doing the reading. You would nearly think that the producers of this audio book picked the person to read the other bits of the book as a way to convince Sacks he should just do the whole damn thing himself I listened to this one as a talking book. There were many, many times when I nearly stopped listening to it. The problem was that Sacks himself didn’t read very much of the book – his eye troubles have made reading difficult for him. By far the best parts of this talking book were when he was doing the reading. You would nearly think that the producers of this audio book picked the person to read the other bits of the book as a way to convince Sacks he should just do the whole damn thing himself. The guy who reads most of this one is easily the worst reader of talking books I’ve ever heard – and that includes some of the really poor readers they get on Libravox. The best way I can explain his ‘style’ is to think of a scene from Get Smart where Max thinks he is unassailable. Think of that smug, too-clever-by-half voice of his and that is nearly exactly the voice this guy used the whole way through. Often it nearly completely distracted me from the meaning of what I was listening to. I’ve an astigmatism, quite an impressive one, really. It is part of the reason I know what it means to learn to read, whereas so many other people I know have no memory of ever learning to read – my astigmatism and my going to seven different primary schools made learning to read increasingly difficult and seemingly unlikely for me as things went along. It wasn’t until I was in grade four that a teacher finally worked out the problem – I was too stupid to squint and so my near blindness was never picked up. It took years before I finally found out that I had an astigmatism, before that I just knew I couldn’t see very well – when I was first told I thought the word was ‘stigmata’ and so, when I looked it up in the dictionary, thought it was somehow related to a scar on the eye. I wonder now why an optometrist might think to tell an adolescent boy they have an astigmatism and yet not go on to explain what that defect actually amounts to – effectively a misshapen lens. Another time – or perhaps the same time, I can’t really remember now – I was told that I would never read below the fifth line of a particular chart. It is only now that I realise that one is shown so many charts when getting one’s eyes checked that everyone would be in more or less the same boat. No matter how good your eyes there will always be a chart in which you can only see to the fifth line eventually. But I took this to mean that even with glasses I would always have less than perfect vision. It was only last year that I was told that with my glasses on I had 20/20 vision. I actually had to ask the optometrist to repeat that to me. I had always ‘known’ that my eyesight was so bad, even with glasses on, that it was less than ‘normal’. So her telling me that was not (and had not been) the case completely threw me. The point being that I’ve never quite known what ‘normal’ might be, but I had always just assumed that normal was something different from what I could actually see. To find out that I am, in fact, Mr Normal came as quite a surprise. This book is about seeing. For those of us who can see there seems to be nothing more normal in the world. And those of us who can see generally can think of nothing worse than not being able to see. The choice between being dead and being blind seems, in so many ways, quite a difficult choice to make in theory. But what is very interesting in this book is that while we might well think there is one way to be blind and millions of ways of seeing – in fact, seeing is such a complicated and strange phenomenon that there are even people with no eyes at all who can still ‘see’ in certain senses. I’m going to have to learn more about dyslexia. A lot of this book is about people with degenerative disorders – strokes and such – that stop them being able to read. Cases where they can see the letters and even see the words, but are no longer able to make any sense of them. These are the kinds of stories that make you think someone is taking the piss. The problem is that the complexity of the task involved in reading is such that highly particular dysfunctions in one part of the brain can lead to highly peculiar behaviours in the person suffering from that dysfunction. Sacks even has a chapter on his own problem with sight – brought about by a cancer growth in his eye. This is a particularly interesting chapter for a great number of reasons, but not least because he talks about a curious stereo vision thing happening when he was smoking cannabis one night. You might like to google an image of Mr Sacks now for the full implications of this little confession to take effect. I don’t know about you, but he just isn’t the sort of person I would immediately associate with smoking a little blue. Needing to wear glasses has always made sight seem something of infinite value to me. I remember the first time I looked at my brother’s face after getting them and seeing he had freckles. There was a real sense that I had never really seen his face before. Or the time I first wore contact lenses and how sharp and clear my focus was looking over the Alexandra Gardens in a 64 tram down St Kilda Road – but the pain of them proved too much for me to bother with despite the manifest improvement in sight they gave. Anyway, I look naked without glasses on, and, oddly enough, generally I am. There is an article here about a women who got stereo vision quite late on in life. There is some evidence that many artists did not have stereo vision (they can tell by looking at photos of them and making measurements of their eyes) and so they saw the world as a flat two-dimensional plane. This woman would sit for hours fascinated by the sense of depth, of how things jumped out at her into the third dimension she had never known existed before. I really could identify with this woman in my own small way. Sacks does some name dropping in this book, but not of the boring sort of thick actress or member of the royal family others do – but people I would give my right arm to have known. He mentions writing to the Russian psychologist Luria at one point (someone who has become a bit of a hero to me), he also mentions a tall guy called Jonathan Miller (who I assume is THE Jonathan Miller and who has always been one of my heroes) and then in passing mentions that he wrote to Simon Winchester to congratulate him on one of his talking books. Now, I’m going to end in a second, but I wanted to talk about talking books for a bit first. Sacks says he doesn’t generally like them. He talks of a blind woman in this book who finds her eyes get tired when she listens to them. She visually constructs the text in her head that she is listening to and effectively reads along with the voice. I don’t do anything like this. I listen to talking books for hours of every day – while I drive, while I cook, while I walk to the station. They are my constant companions. People have mentioned to me that they are only meant for the blind or the illiterate – something that makes we feel very sorry for them. Sacks talks about visualisation and how this might well be the third great cognitive ability, he says he is following Colin McGinn (the philosopher) in this. I was thinking of other things when this was mentioned in the book and so missed what the other two were – though I think one of them was making sense of sensual data and maybe the other was linguistic ability – but I could be wrong. Anyway, this got me thinking about visualisation. My ex-wife once told me that I could improve my spelling (always hopeless until my late twenties) by doing what she did. She would just visualise the word in her mind and then copy it onto the paper. She might as well have said, “flying is simple, you just fall at the ground and miss” as Douglas Adams would have it. Marx says somewhere that the difference between a bee making a hive and a person making a house is that even the worst builder making a house has an image in their mind of the final product – the bee does not. Unfortunately, I am that bee. The odd thing is that I’m quite good at connecting visual images – I tend to use images in powerpoint presentations in metaphorical ways, but the thing is that this is in no way natural for me and (as odd as this might sound) in no way ‘visual’ – if you know what I mean. I can’t call up the image, but I will often have a feeling that I can use a certain image to make a certain point, but it is an almost subconscious awareness. In trying to call up, for example, to my mind’s eye now a famous image, say, the Mona Lisa, all I can ever really see is a kind of grey lead pencil tracing of it that fades to white as soon as my concentration is relaxed. Sight has more to do with the mind than we might like to imagine – and this is a fascinating look at when things go wrong that might just get you wondering about your own visual life. Enjoy. I like all Sacks' books about the neurological problems and adjustments of the people whose stories he tells. However, when he comes to relating his own problems, that's another matter. He goes into far too much detail as though he had confused his audience - most of us are neither personal fans of Oliver Sacks himself (rather than his work) nor are we neurologists ourselves. We just got sucked into neurology-as-a-popular-science by the brilliant Awakenings, or the film of that book starring Rob I like all Sacks' books about the neurological problems and adjustments of the people whose stories he tells. However, when he comes to relating his own problems, that's another matter. He goes into far too much detail as though he had confused his audience - most of us are neither personal fans of Oliver Sacks himself (rather than his work) nor are we neurologists ourselves. We just got sucked into neurology-as-a-popular-science by the brilliant Awakenings, or the film of that book starring Robin Williams, who will forever personify Sacks, at least in my mind. A 3.5 star book (would have been four without the endless meanderings of Sacks as his own subject) and I'm not feeling generous, so three stars. If you enjoy Sacks, you might also enjoy another writer-neurologist, Dr. Harold L. Klawans. My favorite part of these school trips was the ride [to the audiologist]. The car we rode in was large, at least to my mind, and the back seat faced backwards. Even as a kid I enjoyed other perspectives; I would hang upside down off the jungle gym to see what everything looked like upside down, and purposefully choose other seats on the opposite side of my classroom every once in awhile to see what small things were different over there. So, riding backwards in a car going forwards was absolutely fascinating to me. I soak up visual stuff, I really do. A lot of deaf people tend to do that, particularly if they were deafened prelingually (I fall right on the cusp; I likely had mild hearing loss as I learned to comprehend speech, but not the profound loss I have now). I love photography and the way computer editing can transform a photo from what the subject looks like in real life. I love different perspectives, as I mentioned above. I absolutely cannot stand when I can only hear something and not look at it, and television programs or college lectures that simply feature one person sitting there talking easily put me to sleep. This book made me panicky. Seriously. Oliver Sacks has a chapter in here about how he grappled with the possibility of total blindness, and has to deal with monoscopic vision. The last chapter is about how blind people create a world of sight within them, drawing on previous experiences and what they can touch. The rest of the book follows the same theme of how the brain interprets what we see and how it can fail. Oh, man, I did not want to be thinking about the possibility of not being able to see. No hearing? No big deal. Whatevs. No sight? Panic attack. Since the book evoked a strong reaction in me, I liked it; I don't care what the reaction was. At times it could get a bit dry. One paragraph would be easily readable and relatable and the next would be filled with scientific terminology and buzzwords. I appreciate that Sacks has a large collection of correspondence people have sent to him, telling them their own experiences with various neurological occurences. At times, though, I think the people who write to him are prone to exaggerate, to try to sound interesting. I hope he doesn't take everything at face value, but it doesn't seem like he does. Like The Man Who Mistook His Wife for a Hat and Other Clinical Tales, The Mind's Eye is a collection of case studies by neurologist Oliver Sacks (who is perhaps best known for his bringing Temple Grandin, an extremely successful woman with autism to the attention of the public and for the film with Robin Williams based on his book Awakenings). Sacks is both a gifted writer and a gifted clinician who brings a warmth, compassion and genuine interest to people who have various disabilities as the r Like The Man Who Mistook His Wife for a Hat and Other Clinical Tales, The Mind's Eye is a collection of case studies by neurologist Oliver Sacks (who is perhaps best known for his bringing Temple Grandin, an extremely successful woman with autism to the attention of the public and for the film with Robin Williams based on his book Awakenings). Sacks is both a gifted writer and a gifted clinician who brings a warmth, compassion and genuine interest to people who have various disabilities as the result of illness or trauma to the brain. Each essay describes a person coping with some highly unusual ailment-a musician who can no longer read music, or words, but can still write, a woman who loses the ability to use or understand language, a writer who can't read, the loss of stereoscopic vision. What Sacks brings to the studies, beyond his excellent prose and skill at accurately and vividly bringing these individuals (and their families) to life) is an almost heart-breaking warmth and compassion. He is as interested in the ways in which people learn to cope, the skills they develop to compensate for their losses as he is in their disability. More so, in fact. Sacks' last essay is his most personal: what happens when a person's vision is reduced to monoscopic vision as the result of cancer. And he writes particularly poignantly in this essay since the patient is himself. His respect for people is what comes through most strongly. And as painful and frightening as I found some of these studies (these people could be any one of us, including myself, including him), I was also heartened by the courage shown in impossibly difficult situations. When I first saw the cover of this book, I thought it was called "O, Liver Sacks". It took me an embarrassingly long amount of time to figure out it was called "The Mind's Eye". I loved the case studies in this book, and most of all how the people were portrayed as humans, not patients. My favorite chapter was probably the one on Lillian. The chapter on Oliver Sacks's eye cancer was really depressing, but it was still good. I definitely want to read more of this author. "Lillian c When I first saw the cover of this book, I thought it was called "O, Liver Sacks". It took me an embarrassingly long amount of time to figure out it was called "The Mind's Eye". I loved the case studies in this book, and most of all how the people were portrayed as humans, not patients. My favorite chapter was probably the one on Lillian. The chapter on Oliver Sacks's eye cancer was really depressing, but it was still good. I definitely want to read more of this author. "Changizi et al. have found similar topological invariants in a range of natural settings, and this has led them to hypothesize that the shapes of letters 'have been selected to resemble the conglomerations of contours found in natural scenes, thereby tapping into our already-existing object recognition mechanisms." (pg 74) I read a linguistics book that said something like this, too, and how shorthand is hard to read because it's not made up of contours found in nature. In a review by “The Guardian” it alludes “we are all close to being someone else.” The 3 lb. mass---aka the brain---is explored fully with Dr. Sacks and thus the opaque is made pellucid. Even now posthumous author Sacks humble words and melodic British accent resonates in my ear (via audible) and "The Mind’s Eye” embodied ichor. My pre-med studies in anatomy and physiology at Oxford had not prepared me in the least for real medicine. Seeing patients, listening to them...questions about the quali In a review by “The Guardian” it alludes “we are all close to being someone else.” The 3 lb. mass---aka the brain---is explored fully with Dr. Sacks and thus the opaque is made pellucid. Even now posthumous author Sacks humble words and melodic British accent resonates in my ear (via audible) and "The Mind’s Eye” embodied ichor. My pre-med studies in anatomy and physiology at Oxford had not prepared me in the least for real medicine. Seeing patients, listening to them...questions about the quality of life and whether life was even worth living in some circumstances. Reading and listening (via audible) to “The Mind’s Eye” on cases regarding agnosia to prosopagnosia (Dr. P) and patients that seem to imitate “hunchback of Notre dame” characters. Dr. Oliver Sacks has a “au courant” sense of observation—as we discover from his written patient records. One engaging case was Lilian Kallir (concert pianist). These latest fascinatingly annotated case histories from Sacks are as ever made wonderful by the rich and tenderly observed personal context of each patient. Most poignantly, he writes of his own experiences of lifelong prosopagnosia (poor facial recognition and sense of direction) and the distressing loss of his stereoscopy due to cancer. Moving and at times painful, this book is as compulsively readable as Sacks' first publication, illustrating how endlessly wonderful and strange is the half-my These latest fascinatingly annotated case histories from Sacks are as ever made wonderful by the rich and tenderly observed personal context of each patient. Most poignantly, he writes of his own experiences of lifelong prosopagnosia (poor facial recognition and sense of direction) and the distressing loss of his stereoscopy due to cancer. Moving and at times painful, this book is as compulsively readable as Sacks' first publication, illustrating how endlessly wonderful and strange is the half-mysterious country of the mind. In this work the theme of visual perception is mined, starting from alexia and proceeding to the surprisingly diverse visual experiences of blindness. I'm always impressed by the author's compassion for his patients. One of them has perfect vision but also has a brain disorder that means she can no longer recognize specific objects. She can see an apple, but she isn't sure if it's an apple or a tomato or a pepper. She can see a toy elephant, but it might be a toy dog or a toy giraffe. But she claims to do well in and around her neighborhood. To test this, Sacks takes her grocery shopping . . . and to make sure she doesn't get confused about wh I'm always impressed by the author's compassion for his patients. One of them has perfect vision but also has a brain disorder that means she can no longer recognize specific objects. She can see an apple, but she isn't sure if it's an apple or a tomato or a pepper. She can see a toy elephant, but it might be a toy dog or a toy giraffe. But she claims to do well in and around her neighborhood. To test this, Sacks takes her grocery shopping . . . and to make sure she doesn't get confused about who or where he is, he dresses from head to toe in red. Who else would think of this? I also liked his account of the mystery novelist who had a stroke and lost the ability to read but not to write. The novelist relearned reading by tracing the letters in his mouth with his tongue (!) and went on to write another novel and a memoir. Mind's Eye is classic Sacks. It's a collection of essays with a focus on case studies. This time they were loosely based around the theme of the Mind's Eye - or how our perceptions of the world translate to imagery in the mind. As usual, he looks at people who have some sort of injury, illness or deficit to tell us about the normal functioning processes. Sacks has never shied away from including his own illnesses and problems in his books. (To wit: A Leg to Stand On and Migraine.) This time felt Mind's Eye is classic Sacks. It's a collection of essays with a focus on case studies. This time they were loosely based around the theme of the Mind's Eye - or how our perceptions of the world translate to imagery in the mind. As usual, he looks at people who have some sort of injury, illness or deficit to tell us about the normal functioning processes. Sacks has never shied away from including his own illnesses and problems in his books. (To wit: A Leg to Stand On and Migraine.) This time felt brutally personal as he shared both his life-long problem with prosopagnosia (face blindness), and his recent battle with a melanoma tumor on his retina. The latter altered then robbed him of his sight, and we see the normally upbeat the resilient doctor become alarmed, depressed, anxious and doubting. His Melanoma Diary is included verbatim, describing his thoughts as his vision changed day-to-day through the cancer treatments. The last chapter, which was also titled "Mind's Eye", is very detailed, filled with citations, and had more of a scholarly and philosophical tone than the other case-study/memoir chapters. However, it really brought together the deeper themes in the book: the difference between perception and mental imagery. I suspect this chapter has been published elsewhere before inclusion in the book. It took me a long time to think about the differences, but I think there are strong parallels with my fellow physicists. At work, I have always been a very strong visual, "graph it" person -- I think best about a physical relationship or concept if I can imagine the graph or other physical representation. My husband, at the other extreme, likes to think much more abstractly in equations, and rarely graphs things in his head. As I've chatted with other folks over the years, physicists tend to fall into one or the other category - and I think this is what Sacks is talking about in the last chapter. After reading The Man Who Mistook his Wife for a Hat, I was hungry for more of Oliver Sacks' stories. Liked this book in general. Unlike the other book I mentioned it has a theme ; vision and the loss (visual agnosia) or gain of it. It is really interesting to read about how someone's brain can affect this persons vision and the other way around. The power of the book is the detailed description of thoughts and vision. But because of the theme it got a bit boring in the end and some p 3.2 stars. After reading The Man Who Mistook his Wife for a Hat, I was hungry for more of Oliver Sacks' stories. Liked this book in general. Unlike the other book I mentioned it has a theme ; vision and the loss (visual agnosia) or gain of it. It is really interesting to read about how someone's brain can affect this persons vision and the other way around. The power of the book is the detailed description of thoughts and vision. But because of the theme it got a bit boring in the end and some parts didn't add much. Overall I found the book interesting with some refreshing ideas and stories, but not that many as I expected. The stories I found interesting were especially the one about a writer who couldn't read (alexia sine agrafia), and so couldn't reread what he had written / find mistakes / know where he stopped last time so he can continue. This is also quite inspiring really, and a thread throughout the whole book; a lot of people find creative ways of living and compensations even though they can't see, have trouble recognizing faces/places (prosopagnosia), have only one eye and therefore can't see depth (monoscopy) or can't distinguish a tomato from a pear. "Many prosopagnosics recognize people by voice, posture, or gait; and of course, context and expectation are paramount - one expects to see one's students at school"
"I can see the eyes, nose, mouth quite clearly but they just don't add up"
"At the club I saw someone strange staring at me and asked the steward who it was. You'll laugh at me. I'd been looking at myself in the mirror." "i see the lower halves of people in stereoscopic depth, while their upper halves are completely flat and two-dimensional." "He felt that he had become far more sensitive to others' emotional states since losing his sight, for he was no longer taken in by visual appearances, which most people learn to camouflage." "Born-blind people with normal hearing don't just hear sounds: they can hear objects"
Bu kitabı kabaca ikiye ayırabiliriz. Kitabın ilk bölümünde Oliver Sacks, duyu kaybı veya bozukluğu yaşayan hastalarından bahsediyor. Yazar, agnozi gibi sıradan insanın hayal edemeyeceği ilginç rahatsızlıkları başarıyla analiz ediyor. İkinci bölümde ise Oliver Sacks, kendi görüşünü kısmen kaybetmesiyle başlayan olayları, tedavi sürecini ve bu süreçte yaşadıklarını bütün ayrıntısıyla anlatıyor. Devamında ise beynin görme kaybına verdiği tepkilerin, algının duyu kaybı halinde ne şekilde değişiyor o Bu kitabı kabaca ikiye ayırabiliriz. Kitabın ilk bölümünde Oliver Sacks, duyu kaybı veya bozukluğu yaşayan hastalarından bahsediyor. Yazar, agnozi gibi sıradan insanın hayal edemeyeceği ilginç rahatsızlıkları başarıyla analiz ediyor. İkinci bölümde ise Oliver Sacks, kendi görüşünü kısmen kaybetmesiyle başlayan olayları, tedavi sürecini ve bu süreçte yaşadıklarını bütün ayrıntısıyla anlatıyor. Devamında ise beynin görme kaybına verdiği tepkilerin, algının duyu kaybı halinde ne şekilde değişiyor olabileceğinin yine vakalar üzerinden speküle edildiğini okuyoruz. Birinci bölümden müthiş keyif aldım. Oliver Sacks çok iyi yaptığı bir işi, vaka analizini bu bölümde de çok iyi yapıyor. Vakalar gerçekten çok ilgi çekici olunca kendisi de sahneyi paylaşmamış, minimum yorum yapmış. Öte yandan çok yorucu bir ikinci bölüm kitabı iyi bitirmenizi engelliyor. Aşırı detaylı anlatım yüzünden sürekli olarak kayboluyorsunuz. Kitap yer yer spekülasyona kayıyor, deneyimler bombardımanı altında bırakıyor. Ne yazık ki Türkçe çeviri de anlaşılmayı zorlaştırıyor (adil olayım, bu noktada çeviri mi kötüydü, dil mi yetersizdi çok karar veremedim). I read this after reading Trevor McCandless's review. I was fascinated from page one onwards. Since then I have bored nearly everybody I know by talking about it, lent it to my daughter (who found it just as interesting) and ordered another copy for my mother. It is not just about eye-brain connections, though it is about that. It is about how different people respond in richly unique ways to sensory perception and sensory deprivation. But it is beautifully written, as simple as can be. Sacks is I read this after reading Trevor McCandless's review. I was fascinated from page one onwards. It is not just about eye-brain connections, though it is about that. It is about how different people respond in richly unique ways to sensory perception and sensory deprivation. But it is beautifully written, as simple as can be. Sacks is a natural story teller, but he is equally fascinated by people. He just talks about what they do and how they react. No great scientific theories or judgements. Just observation with humour and compassion. Another brilliant book by Oliver Sacks, this one on the eye and how vision, perception, thoughts, and identity are so strongly linked. As with his other books, in reading his accounts there is a sense of watching the scene of a gruesome car wreck: everyone is just a bump or a blood clot away from having their entire world irrevocably changed. In this case, by becoming blind, or losing the ability to read (but not, bizarrely, fascinatingly, to write), or losing color vision, or any other bizarre Another brilliant book by Oliver Sacks, this one on the eye and how vision, perception, thoughts, and identity are so strongly linked. As with his other books, in reading his accounts there is a sense of watching the scene of a gruesome car wreck: everyone is just a bump or a blood clot away from having their entire world irrevocably changed. In this case, by becoming blind, or losing the ability to read (but not, bizarrely, fascinatingly, to write), or losing color vision, or any other bizarre thing damage to the brain can lead to. This book not only has the usual case studies, medical history, musings on what makes us human, but also some memoir. Sacks reveals his own face and place blindness, a lifelong affliction that he has managed to compensate for but still crops up to bemuse and annoy him. In one particularly funny scene, he approaches a mirror, peers at his reflection, starts grooming his beard, only to see that the large bearded man in the mirror is not copying him, but is staring at him astonished: it isn't a mirror at all but another man behind a glass window! Oliver Sacks is a neurologist (if you don't know that already - he's up there with Dawkins in the recognisable scientists list, and I don't believe Richard Dawkins has ever been played by Robin Williams). This is Sack's 11th book, most of which are filled with case studies of his patients or correspondents, as he seeks to "show us what is often concealed in health: the complex workings of the brain and its astounding ability to adapt and overcome disability". 'The Mind's Eye', as the title suggests, is focused on brain damage - usually stroke - that leads to visual disorders. When I awoke next morning in the hospital, I was totally (globally) aphasic. I could understand vaguely what others said to me if it was spoken slowly and represented a very concrete form of action ... I had lost completely the ability to talk, to read and write. I even lost for the first two months the ability to use words internally, that is, in my thinking ... I had also lost the ability to dream. So, for a matter of eight to nine weeks, I lived in a total vacuum of self-produced concepts. ... I could deal only with the immediate present. ... The part of myself that was missing was [the] intellectual aspect - the sine qua non of my personality - those essential elements most important to being a unique individual. ... For a long period of time I looked upon myself as only half a man. 'The Mind's Eye' is Sacks' most intimate book yet. Not only does he talk about bis own prosopagnosia (so severe he may not recognise his assistant and friend of 20 years when she's waiting in a cafe for him, or be able to distinguish his face in a window from the face of a man on the other side, or remember how to get to his own house if he deviates from his familar path: qualities that have lead to him being described as everything from pathologically shy to having Aspergers Syndrome). But he devotes a long chapter, 'Persistence of Vision', to excerpts from the journal he kept after a malignant tumour appeared next to his fovea behind his retina in his right eye. The tumour was treated first by inserting a radioactive plaque for several days; then with several lasering sessions; he nonetheless lost his stereoscopic vision (depth perception) and a large chunk of his central vision: after a bleed, his lost his peripheral vision. Back at my apartment that evening, testing my right eye, I was startled to see that the horizontal bars on the air conditioner all seemed to be warped, converging and collapsing into one another, while the vertical bars diverged. I cannot remember how I spent the rest of the weekend. I was very restless, I went for long walks, and when I was inside, I paced to and fro. The nights were especially bad - I had to knock myself out with sleeping pills. Inevitably, self-pity seeps through: at Christmas he looks at the NYT list of people who died in 2005, and wonders if he will appear on the 2006 list. It's not really self-pity, though: it's part of the relentless self-examination he places himself under, tracking each change and quirk (his scotoma is the shape of Australia - “complete with a little bulge in the southeast corner — I thought of this as its Tasmania.”; he learns he can fill it in, with patterns from the carpet, the leaves of a tree, the blue of the sky). Although I have the Dutch version of this book it still reads pleasantly. Only a few translation errors or one weird sentence but they are not that distracting. This is a great book which gives fascinating insights into the brain, its adaptability and human resilience to life changing events that are quite subtle but have huge implications. Such as not being able to recognize faces or recognize written language but still be able to write letters or text. It contains an array of fascination storie Although I have the Dutch version of this book it still reads pleasantly. Only a few translation errors or one weird sentence but they are not that distracting. This is a great book which gives fascinating insights into the brain, its adaptability and human resilience to life changing events that are quite subtle but have huge implications. Such as not being able to recognize faces or recognize written language but still be able to write letters or text. It contains an array of fascination stories about the human brain and people. Only thing that distracts from the reading are the frequents references to his earlier books. It can get annoying because you're reading this book for a story and not for knowing in how many ways this book is connected to Sacks other books (in a way it may be his way of scientific writing style but this is my first book I read of him so can't say or judge this). It differs for references to other authors bookwork because in a way that expands the scope of the stories and giving the possibility to read some of the described stories in a more personal way. Despite this one main issue I had with the book, it was a great reading. Thank you Dr. Sacks for all your work and all your personal sacrifices. I wish there were a heaven or a Valhalla, because you deserve to be there. "Apes, which are able to "ape," or imitate, have little power to create conscious and deliberate mimetic representations.... In Origins of the Modern Mind: Three Stages in the Evolution of Culture and Cognition, the psychologist Merlin Donald suggests that a "mimetic culture" may have been a crucial intermediate stage in human evolution, between the "e Thank you Dr. Sacks for all your work and all your personal sacrifices. I wish there were a heaven or a Valhalla, because you deserve to be there. "Apes, which are able to "ape," or imitate, have little power to create conscious and deliberate mimetic representations.... In Origins of the Modern Mind: Three Stages in the Evolution of Culture and Cognition, the psychologist Merlin Donald suggests that a "mimetic culture" may have been a crucial intermediate stage in human evolution, between the "episodic" culture of apes and the "theoretic" culture of modern man.... Mimesis has a much larger and more robust cerebral representation than language." Sacks is interested in the reportage of Howard Engel after his stroke, including "Hospitals, to a degree... breed a passive spirit; the memory book returned a piece of myself to me." People who are blind, either congenitally or by becoming so later in life, have individual and often very different experiences of visual imagery. Some still use the word "see" because they can imagine and/ or remember spatial r'ships, color, etc. as well as if they could see, being able to use language to describe their travels in visual terms in their journals, or to engineer motors, or play sports. Others, like John M. Hull, author of Touching the Rock: An Experience of Blindness, feel a distinctly subsumed "deep blindness." Hull developed more perception in his other senses, and more talents in his other modes of thought, in response to a gradual deterioration of sight that led to complete blindness at age 48. Another memoir of the loss of vision that I want to read before I lose mine is A Journey Round My Skull by Frigyes Karinthy. I have read many (if not most) of Oliver Sacks' books about the medical mysteries of neurology. The Man Who Mistook His Wife For A Hat was one of my favorites, and this new endeavor ranks near that 1985 hit for me. I was relieved, because his last book, Musicophilia, bored me to tears - an unwelcome and totally unexpected reaction to one of my favorite science authors. With this book, which explores "the stories of people who are able to navigate the world and communicate with others despite losing what many of us consider indispensable senses and abilities: the power of speech, the capacity to recognize faces, the sense of three-dimensional space, the ability to read, the sense of sight. For all of these people, the challenge is to adapt to a radically new way of being in the world", as his website says, he returns to familiar territory, but adds his own story. It was surprising to have so many of the chapters reference his own experience of his own eye cancer and the bizarre and disconcerting effects of losing vision to one side - and then expounds on that experience in a whole chapter devoted to his plight. It was slightly disconcerting to have him suddenly be the 'mystery' that he is exploring in his book, though the journals that he kept from 2005-2009 certainly made that chapter one of the richest in detailing the day to day tribulations of vision loss and the ways that our brains compensate. One of my favorite stories was of how his own visual cortex began to “fill in” his blind spot with imagery borrowed from the parts of the scene he can see. The ever resilient brain, he remarks, “does not just fill in color, it fills in patterns too, and I enjoyed experimenting with my own scotoma, testing its powers and limitations.” A brick wall looks like a red blob from nearby, but as he pulls away, the grain and grid fill in perfectly where he otherwise has a blind spot. A complex patterned rug works best of all, filling in slowly from the sides and creating an illusion that he is seeing the whole rug. If you'd like to see what his writing is all about, here is a link to a New Yorker story that is taken from his work on this book. Enjoy! Reading this book in my mid-50s, I realize that I'm bringing much of my own life experiences to it and re-acting to the stories instead of considering them from a more scientifc or detached perspective. The new ideas about the plasticity of the brain fascinate me. Case studies though are hard -- those are stories of real people, greatly affected by brain accidents or diseases. The second chapter, Recalled to Life, was about a woman with severe aphasia after a stroke which is what my own mother h Reading this book in my mid-50s, I realize that I'm bringing much of my own life experiences to it and re-acting to the stories instead of considering them from a more scientifc or detached perspective. The new ideas about the plasticity of the brain fascinate me. Case studies though are hard -- those are stories of real people, greatly affected by brain accidents or diseases. 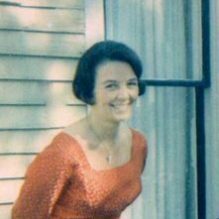 The second chapter, Recalled to Life, was about a woman with severe aphasia after a stroke which is what my own mother had for the last 6 1/2 years of her life. It was a difficult one for me to read. The chapters dealing with vision were fascinating and yet also very disturbing since losing my sight is my worst fear, I think, perhaps partially because I am terribly, terribly near sighted. I had to skim over the parts where Dr. Sacks was having his own vision problems. 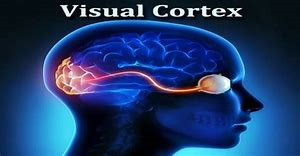 But at the same time I was fascinated by people's different brain reactions to "not from birth" blindness -- did their brain still provide visual images or did they go into mental darkness? I believe that education & psychology classes should concentrate much more on the brain itself -- how does it learn, how does it change, how does it affect us? And maybe even religion classes should discuss this . . .
Oliver Sacks writes great books about people with rare and strange neurological disorders. He then uses these case studies to understand the inner workings of the human brain. This is well-known by now. What I didn’t know about Sacks is that he himself suffers from one such rare and strange neurological disorder: prosopagnosia. 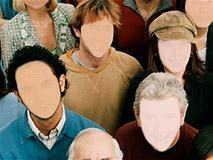 Prosopagnosia is the inability to recognize faces. Sacks can’t recognize anyone, not even close friends and associates with whom he has worked for many years - not even h Oliver Sacks writes great books about people with rare and strange neurological disorders. He then uses these case studies to understand the inner workings of the human brain. This is well-known by now. What I didn’t know about Sacks is that he himself suffers from one such rare and strange neurological disorder: prosopagnosia. Prosopagnosia is the inability to recognize faces. Sacks can’t recognize anyone, not even close friends and associates with whom he has worked for many years - not even himself in the mirror. Maybe his own condition has been a factor in his compassion towards his patients and his desire to make sense of the human brain and how it affects our consciousness, emotions, and behavior. In six fascinating vignettes, Oliver Sacks explores fascinating case histories of his patients. In most of these cases, the problems arise within the patients' brains. Several of the patients lose the ability to interpret what they see, although their eyesight is not the problem. They may lose the ability to recognize faces or to read, or to negotiate walking in public spaces. I thought the last chapter to be most interesting, about how most (but not all) sighted people form visual images in the In six fascinating vignettes, Oliver Sacks explores fascinating case histories of his patients. In most of these cases, the problems arise within the patients' brains. Several of the patients lose the ability to interpret what they see, although their eyesight is not the problem. They may lose the ability to recognize faces or to read, or to negotiate walking in public spaces. I thought the last chapter to be most interesting, about how most (but not all) sighted people form visual images in the minds, and how some blind people use visual imagery, also. One of the chapters explores Oliver Sacks' gradual loss of sight in his right eye. At one point, he was the only member of the "stereoscopic society" with monocular vision. While interesting, I found this chapter to drag too long--it should have been much shorter. This is a book of case histories of people who are visually disabled and the ways in whch their brains have compensated to give them "sight". I personally am visually disabled and experience visual hallucinatins, so I was hoping to find some explanation for why this occurred and what, if anything, can be done to stop the unwanted hallucinations. The case histories were fascinating and I discovered a few ways my brain has compensated for the loss of sight. I felt a sense of "Oh, I do that" as I r This is a book of case histories of people who are visually disabled and the ways in whch their brains have compensated to give them "sight". The case histories were fascinating and I discovered a few ways my brain has compensated for the loss of sight. I felt a sense of "Oh, I do that" as I read the experiences of others. I definitely came away with a greater sense of awe and gratitude to God for the marvel that our brains are and how I have in some ways benefited from this "mind's eye" phenomena. Though, to be honest, I would gladly give up the multi-facetted hallucinations anyday! I've been quite a fan of the late neurologist Dr. Oliver Sacks ever since I was an undergraduate student in psychology. He explored some of the issues related to how the mind processes visual imagery in his previous book Hallucinations, but this book deals entirely with vision. Topics such as colorblindness are explored, but I think my favorite chapter addressed stereo vision. 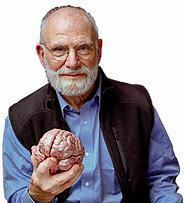 It's one of those senses that we don't think much about until something takes it away, as Dr. Sacks learned personally w I've been quite a fan of the late neurologist Dr. Oliver Sacks ever since I was an undergraduate student in psychology. He explored some of the issues related to how the mind processes visual imagery in his previous book Hallucinations, but this book deals entirely with vision. Topics such as colorblindness are explored, but I think my favorite chapter addressed stereo vision. It's one of those senses that we don't think much about until something takes it away, as Dr. Sacks learned personally when he abruptly lost all eyesight in one eye following an illness. Marvel fans take note: If you're curious about how a real-life Daredevil would be able to "see" without eyesight, you'll want to skip directly to chapter 7. Every brain experiences the lack of eyesight in a different way - vastly different, in some cases. Dr. Sacks was on the autism spectrum, so he's uniquely skilled to describe neurodivergence, with all the pluses and minuses of various neurological functions and the variations they come in.